The amazing amount of foolishness that children of color are forced to endure. I am sure there are no zeros on the balance sheets of these mis-education factories that are generated by the “students as products.” It should read: “School wipes out students and turns them into zero’s”. Where are their parents? Where is their community? Perhaps the school’s intent was to close the “achievement gap” by 40 percentage points. And I guess it is also one way to address academic failure…declare it non-existent; declare victory and send the children on to an impoverished future. No sleight of tongue by the charter educational profiteers will work here; by giving student no-shows a grade of “40” whether or not they show up, or do a stitch of work, they are able to keep them on (and cook) the books. This means they can continue to generate a profit even if the students don’t learn a single thing. It is a cruel form of tragic cynicism that would be comical if the end did not result in the loss of a young person’s dreams, and future contribution to our nation. We fool (and are being fooled by these slick pedagogical pirates) by only pretending to educate large segments of our population. What are these young people going to do in the next five to ten years as they find out that they are obsolete, and ill-prepared to participate in the economic life of our country? First, they are going to be angry when they realize that they are far away from that place where hope meets skills. Second, as they will be in the natural and fundamental need to survive they will employ whatever skills (or lack of) in meeting those basic needs. The situation will not be helped by the fact that like all of us, they will be bombarded by the glittering “toys” of a market-driven society, which seeks to relentlessly drive us to purchase “things” as a way of accumulating meaning in our lives. These exploited young folks will eventually assert their own form of “Robbing Hood” by extracting what little money they can, first from people with whom they share the same impoverished status. But the illusion of safety for those who have the power and resources to properly educate their children will be broken as the communities of poverty have less to sacrifice to the gods of failed education. But of course, there is the hope (I guess there is even negative hope); that these young people will “graduate” from one exploiting system, and charter a new course as “feed” in the very extensive criminal-justice system. Which essentially is now dependent on these types of educational failure incubators? For their parents, it is “pick your poison”; the disinterested incompetence of a public school system structured to fill the pockets of amateur players; or, the private sector version of the same. For some communities parent participation means: just pick your child’s path to prison. To Seek or Not to Seek a Master’s Degree? To Master, or not to Master; is it only the beginning of the question? Pursuing a master’s degree or choosing not to do so may represent a financial conflict of interest for colleges in their “messaging” to undergraduates about “life after graduation”. The danger is that counseling these “soon to be graduates “, could contain a version of the “Jedi” mind trick; as universities (in light of shrinking financial resources) seek to expand their market share of: “Things college grads spend money on”. The other day I watched with great interest, the Naval Academy’s graduation (I got to know many of the graduating seniors last year.) For these very talented young women and men, the Navy in response to their interest, skills, and the aptitude in those skill areas; provides a solid and specific post-graduate educational plan for each of the graduates. It is also important to note that those accomplished Naval Academy graduates are leaving undergraduate life without a huge college tuition/living debt to pay off. They are also entering an unreal (to our real) life of guaranteed employment, while also obtaining free, the big ticket price item of quality health care. Civilian undergraduate students, on the other hand, are essentially, on their own. Is the master’s degree an extension of, or serving as the new bachelor’s degree? In matters of promotion and the acquisition of greater professional “mastery” skill, in some fields it would seem so. And so according to the article many students are seeing the B.S. to M.S. path as one professional continuum. But this trend will probably also fuel the growing economic problem of huge, and financially debilitating post- undergraduate college “student debt”. The potential economic danger of this group is that they might “inspire” a future major economic slow-down as their “purchasing power” diminishes over time, and they all reach a point of time, at the same time, in the future. Also, what does a master’s degree mean in a culture where there is a growing (future) national trend toward multiple (as opposed to single) career options and aspirations? Should there be some generalized skills learned along with the content and career specific knowledge gained in master’s program? Post-grad students now, and going forward into the future, may need a set of transferable and translatable skills that cover multiple professional careers; and can respond to multiple evolutionary aspects of those professions. Perhaps master’s degree program can be designed around an individual students particular career interest. This issue of post-graduation education calls for a (case by case), very thoughtfully planned and executed strategy for each post-undergraduate individual student’s life. Post- grads must become skillful in finding the many ways to get the cost of the master’s degree; if this is what they feel they need, and/ or want, partially or fully paid for. Research in places like the Foundation Center, is critical. Perhaps this necessitates a course or workshop (independent of the university) in: “how to manage and finance a post-graduate life”. Part of this course could be the calculation (by field and for each individual entering a field) of a long term “cost-benefit analysis” of seeking and earning a masters degree. But there is also the priceless, self-fulfilling idea of just learning more; it is the experience of pursuing wider and deeper knowledge in an area of interest. The central problem is not “mass school closings”; rather it is the horrible limited options that remain open for Black and Latino students! The central problem is not “mass school closings” (as desperate and misguided an act as that may be); rather it is that so many bad and ineffective schools remain open and continue to destroy the dreams and aspirations of Black and Latino children. Recently a judge declined to block a school districts large (and largely Black community) school closure “plan”; despite the very admiral efforts by the parents and community members whose children would be adversely affected by those school closures. In an interesting way I thought the judge’s ruling was correct. For sure, those folks who are fighting to keep neighborhood schools open are fundamentally right: Race, is always in play when these types of decisions are made; and those who are the least politically powerful (or at least unaware of their power); the least able to organize to protect their children, i.e. Black and Latino Parents; lose the “race” because of their race. They are also correct in asserting that schools should be thoughtfully improved and enhanced, not closed; and made able to compete with any type of private or corporate (charter) school. Finally they are correct in asserting that neighborhood schools can serve as important “anchor” centers for learning and stabilization for a community; this becomes of greater importance in communities that are under social and economic siege, and lacking positive and inspirational spaces for children. However, Inside of this “stop mass school closing lawsuit” there was a fundamental flaw, regardless of the honest motivation for a very noble effort. And the correction of this “flaw” is unfortunately not subject to correction by this, or any other judge. For it was through the very legal will of the people; by way of their elected representatives, to grant mayoral control over education. If this has resulted in mayors placing people who have little or no experience, in charge of public education, and/or school improvement, then how is the judge able to correct (and overturn) that “legally proper” situation, even if the argument put forward by the parents and community is worthy? The protesters were in essence asking the judge to rule on what is the best strategic policy (theirs or the districts) to raise Black student achievement. The “separation of powers” rule made that argument dead on arrival. The non-productive act of moving students from an under-performing school to a “little less under-performing school”; or to a school on the “tipping-point” of “underachievement” that would be now adversely affected (that is inflict harm on both the presently attending, and incoming students); or the particular negative effects of school closings on special needs students, is theoretically too complex, and subtle to be solved in the venue and manner in which this law suit was filed. Finally, in a city with a Black mayor, ample Black representation on the city council, State education department, and most critically as the head of the school system; how could “racial discrimination”, if seen through its historical definitional lens be asserted here? That is why the NYC lawsuit is qualitatively different and important. This law-suit goes further than the efforts to just keep ineffective schools open, often in the hands of ineffective leadership. The claimants are aware that this alone will not save their children. It also by definition says that the race or personality of the leadership of the district, or for that matter the leadership of the city, is unimportant. What the adversely affected children face here is “structural” and institutional discrimination; it is in a sense making a “post-racial” case for discriminatory acts perpetuated by people of color who are in places of power, a revolutionary and politically evolutionary thought. Will they win, I don’t know but it is an important battle front that must be waged in what is a multi-front protracted struggle for educational equality. The problem that has haunted Public Education, and hurt children of color for years; is our inability to create and maintain quality high schools (even after being built as academic beacons, they are often downgraded) that can at the very least, serve Black and Latino students who are “on and/or above grade level”; which means that academically struggling students don’t have a chance. Well, maybe this lawsuit is the beginning of a knowledgeable awareness of a battle some of us have been fighting for many years. That is, give students of color, students of poverty of all colors, students who live in homes where the speaking of English is limited; give them all a chance to succeed. Give them the “environmental opportunities (a peaceful place to learn, good teaching, material/technical resources, high standards of efficacy and expectations) to thrive academically, and they will! Provide them with a well taught, well-resourced and inspiring career technical education (CTE); science, technology, engineering and mathematics (STEM) education and they will totally immerse themselves into these areas of study. There is nothing wrong with the brains of these students that a good school can’t fix! The parents and communities from which these children emerge should fight for and demand that every high school has a “3-E” minimum format as the central organizational culture of the school. 1) Environment: A fundamentally decent physical building that is an inviting and nurturing place to work and learn. A place where teachers can teach, students can learn, and everyone can feel safe to be excellent. The school must be clean, well maintained; a richly resourced center of learning. Students and teachers must have adequate learning materials and equipment to learn and teach. 2) Expectations: A school that can creatively respond to the many hurdles placed in the paths of many of our children on their way to academic success; but refuses to use these “external” factors as determiners as to how much students can learn; how wide they can stretch their imaginations; how deeply they can expand their minds; and how high then can go to reach their career dreams and aspirations. 3) Efficacy: A Place where every staff member (security, Kitchen, teachers, administrators, custodians, etc.) will utilize all of their energy, talents, skills and imaginations to create an atmosphere that will inspire and partner with student hard work to guarantee the success of every student in the school. This lawsuit is one of many steps that should be taken by the parents and communities whose children are systematically and structurally denied their educational equal rights. They should not be discouraged, deterred or confused by the fact that this time; unlike the educational racial segregationist of the past; someone who looks like the children may be standing in, and blocking the school house door; In the words of those soulful poets-The Impressions; they should: “Keep On Pushing”; For our children’s lives depend on getting in the door of opportunity! This may be a march, but it would be wrong to call it Civil or Right. I very much enjoy reading humorous and witty writings, when context and the topic invite such a style. But this July 4, “March” creates a real possibility for something really bad and tragic to happen. The police officers assigned to duty on that day don’t make gun legislative laws and policy; they don’t have an option of only enforcing the laws for which they are in agreement. Will a “comedic” riff be sent out to their families if they are injured or killed? And to what end; as there is no possibility that the 2nd amendment will be repealed. If after the reoccurring slaughter of students and staff at every educational level; the daily accidental and on purpose gun deaths in homes across this nation; the growing “out-sourcing” of unsupervised Americans suffering with mental problems walking our streets, with easy access to guns; the often ignored deadly decimation of Black and Latino youth in our urban centers; the awful shooting of one of their own colleagues; if none of these realities can force our elected officials to enact the most limited and sensible laws that places some “mild” restrictions on gun access; the same type of sensible restrictions that exist when one seeks a driver’s license, or building construction permit. In what sane universe is the repeal of the 2nd amendment a possibility? The political reality of this universe says that that the easy access to guns is taking its greatest tragic and deadly toll on the constituents of the members of the Black Congressional Caucus. Despite this sad truth, it is also true that their numbers are incapable of passing any serious gun safety laws in a congress controlled by either party (add to this that the DC member of the caucus can’t even vote if this legislation were to come to the floor!). Let’s be honest here, this march has nothing to do with: “threats to Constitutional rights”. The POTUS may be able (and I emphasize “may be able”); to see through a successful legislative initiative on emigration reform (ironically fueled by his absence from the negotiations, a “bully-less pulpit”?). The recent rush of “scandalous” events has further eroded his ability to effectively wield the power of the presidency. The Republican party has effectively initiated a “scorched nation” strategy of: Block, Tackle and Play out the clock on any meaningful legislation this president puts forward; even if that means hurting their own constituents and the nation at large; (Where are we on the number of repeal votes on the Affordable Care Act-“Obamacare”?) Furthermore, time in a second term presidency is not neutral; as time moves forward the power of any president to do something “significant” diminishes. There is just no sensible/rational political thinker; on the left or right who thinks that Mr. Obama would spend his depleting political capital on a suicidal mission aimed at repealing the 2nd amendment. There is also no evidence (as believed by many unrestricted gun advocates) that the UN Secretary General Ban Ki-moon is warming up the Black helicopters in preparation for the confiscation of American’s guns. This July 4 march has 2 purposes; one to rally the paranoid bigots who have never seen Mr. Obama’s presidency as legitimate, and have never recognized him as their president. Second it is a reckless and irresponsible business act of simply trying to raise listener audience ratings, attract advertisers; and charge higher advertising rates. In either case no journalist should serve as a press agent for such foolish and dangerous behavior. I lived through the civil rights period; and so I can fully appreciate the right to demonstrate and march on behalf of what a person may feel is a danger to their right to fully exercise their citizenship. But the Civil Rights marchers engaged in this movement; including acts of “civil disobedience” guided by the central philosophical thought of non-violence. This principled decision very often exposed them to vicious acts of violence; perpetrated by the official and unofficial forces of opposition. And yet these brave individuals set out on their mission, without having violence against the opposition as a “planed strategy/outcome” of their movement. Bringing loaded guns into a city where they are forbidden by law is in every sense “spoiling for a violent confrontation”; as the Washington Police force is obligated by oath, and the desire to maintain good and peaceful order to disarm these law-breakers. Beyond her official responsibility; the symbolism of not bravely confronting theses ideological bullies is not lost on Chief Lanier; allowing this level of armed violations of the law sends a dangerous message to the citizens of DC, and in fact our entire nation. I don’t own a newspaper; and so all I can do is pray that no one on either side comes to any harm. I have watched your family for a very long time(shall I count the years:-), and I believe that one of the reasons you and your sister have done so well is because your mother and father cared about young people beyond the two of you. I am also now watching the awesome talent and brilliance of the next generation of children; and I am convinced it is in part because you gave, and give so much of yourself to the positive development of the children of others. I truly believe that we can bless our children with our good deeds toward the children of others; and this blessing can extend to a time long after we have left this earthly existence. You know Tiffany there is a terrible myth that I have consistently seen over the last 30 years in public life and public education. That myth says: I can advance and enhance the life opportunities for my children at the expense of other people, and other people’s children. That: “I can successfully steal money from other people’s children to give to my children; deny the children of others and my children will prosper”. There is a present parade of elected official who have sought “self-family service,” over public service. We seem to be in a national “anti-empathy” movement that has allowed many to disconnect from the suffering of others; to not see our children in the eyes of all children. To think that only our children have hopes and dreams, and others don’t. Witness the recent case of a factory collapsing upon workers in Bangladesh; the cruel treatment and often death of young “workers” forced to labor for horribly low wages in buildings that compromise their health and safety on a daily basis; all of this occurring while they have no health insurance. We feel that if the “wretchedly cursed” are far away from our nation, our community, our block and our house, that our children are safe. This myth explodes when on a day you would think that young men would be celebrating and praising the person who literally labored to bring them into this world; are instead shooting thoughtlessly into a crowed of a Mother’s day parade celebrants. Children who are neglected, abused, unloved, uneducated, unemployed and unemployable; see the “happy world” as an enemy to be disrupted and destroyed. We deluded ourselves into believing that if we just pretend that these who have been left outside of a meaningful life don’t exist; or if they do, their role is to serve and produce joy for our children. The truth is that there is no separate place of peace in this world. There is no way to escape being touched by those caught in the cycle of feeling pain, and then inflicting harm on their fellow human beings. The problem is seeing and connecting the spiritual dots. Whenever I read about young men or women like those who participated in the recent Mother’s day parade tragedy; I try to find out the young person’s school experience; did they have the opportunity to be positively engaged in some type of creative activity, sports, art, music some type of activity that allowed them to see their own humanity, and the ability to recognize the humanity of others. If their life lesson is: “it makes no difference who I hit in a Mother’s day parade”; then we are in serious trouble, a type of trouble that “jumping” our own children to the front of the line won’t solve. As a superintendent in Albany I once spoke to a group of citizens in one of the more affluent sections of the city. I was trying to explain the need to direct greater resources to struggling schools and students. I said to them that the harm of the so-called “achievement gap” that was intellectually and emotionally hurting the majority of Black and Latino students in the city, was also hurting their children, but in a more veiled way. Many affluent parents are living in a false reality of “high academic achievement”, because the expectations and academic achievement of the majority of students of color is so artificially low. By maintaining a system of institutional underachievement in the “poor” schools, their school only need say: “Well we are doing a good job, when you compare us to the struggling low academic performance of children in school X on the other side of town”. The truth was that their school was living off of this falsehood, and in reality their children were terribly unchallenged, and the school was in fact chronically underperforming. There is a terrible failure to see our human connectedness. It is a misconception that God is not concerned about how we treat each other. The problem of “leasing” the physically challenged as a way to bring happiness to their own children is probably lost on these parents. But I am sure it was not lost on the physically challenged, who are being “rented”. They have been concretely and symbolically used to push the “offspring of greed and inheritance” to the front of the line, while they find their place at the back of the line of life. I believe that every person regardless of the conditions and circumstances of their birth is here to contribute something of value to all of us. And when we see these gross acts of dismissal, the public and private acts of violence; we are in fact seeing the symptoms of people who feel they have lost their sense of contribution, and can now only find meaning and purpose by inflicting pain on others. The devaluing of human life as they themselves feel that they are devalued; they are very much creating a world in their own likeness. Unfortunately, this twisted worldview makes no distinction in what and who it harms. Why not find meaningful and dignified work for those who face physical challenges; work that can allow them to realize and express their full humanity. This would be much better than to use their disability as a tool of deception and subterfuge. Perhaps the children of the rich can learn something important in life; to indeed be inspired by seeing the physically challenged of this nation engaged in meaningful and productive work. But I also think that these, the children of unearned advantage and privilege can learn some important life lesson; a basic learning objective from Kindergarten; by being forced, like everyone else, to just wait in line, for their turn. How well we know (and how important is the vocation), that what happens in childhood, for good or bad, does not stay in childhood. The overriding curriculum is the teaching and acquisition of skills that allow for good moral and ethical decision making. Building the ‘skill- capacity’ to provide for ones material needs; and the sensitivity to serve those who are suffering and in need of your talents. If you are a teacher, you are the teacher of each and every individual student; not the abstract class. If you are a building administrator you are the principal or AP for one student at a time, not a school. Schools must serve as Lighthouses, Sanctuaries and incubators for the dreams of young people. Students don’t just “magically and independently” arrive to school; they bring their families, their neighborhoods, their personal and collective disappointments and pain; their hopes and dreams. Teach and nurture the “entire” child. Help young people to work through the personal pain and disappointment they have/ are experiencing; or they will surly inflict that pain upon the world; and specifically upon their fellow human beings. Help them to understand that they share this planet with other living entities whose existence must be honored and respected; they naturally and automatically inherit the role of caretakers of the environment. They also live in a world community of other human beings, who like them don’t want to suffer; who feel pain just like them; and who like them have dreams they want to fulfill. They must learn that one life affirmed does not mean that another life must be denied. I know much of what we experience as “society” is driven by a: “winners and losers” culture; but each person has a choice as to how they will conduct and practice their own life. Help them to by all means: “be the individual you”; however we share the planet with other people, and there are some general agreed upon standards of behavior that must be practice and respected, or we will live in a horrific and painful state of chaos. Let them learn that fighting for your “freedom” or “cause”; no matter how justified, can’t include the practice of harming innocent people. Teach that the vast majority of the human family all want the same thing; they want to live in peace; they want to work and produce something of beauty; see their family and community thrive; and see “success” as their children’s lives as an improvement over their own lives. You are most often the first “trip-wire” in detecting an out of school abusive situation; this is a sad but important role that we must faithfully play. An important and necessary component of addressing incidents of abuse that often goes unaddressed is the “post-event” counseling service; this intervention should be a necessary component, and is critical to the healing process. Follow-up and make sure it happens. Would we just “pass-over” a student with a broken hand? What then of a broken heart, spirit? We need to treat psychological pain with the same attention and sense of urgency that is given to physical pain. We must help students to discover their unique gifts and talents; the things that they are really good at. The things they feel good about doing. Every student in a school must have the “attention” and be “known” by some adult in the building; someone who they can talk to; and someone who can talk about them. Students desperately need the misnamed “extra-curricular” experience, as an essential curriculum experience. Dance, Music, Art, Athletics, STEM projects/competitions, Chess, Debate, etc. are important tools in helping them to evolve into truly well-rounded, educated and sensitive human beings. We must help students to discover the unique contribution for which only they are designed and assigned to bring to the world; and the only true failure, is their failure to realize and bring that contribution. I don’t care what they pay professional athletes and entertainers; when we fail at our work there is a serious price that the world is forced to pay. Come on educators, be honest…..
Come on educators, be honest; this makes up for everything that didn’t go well; everything that did not happen for you; that time when you didn’t feel appreciated; for every moment you felt bad; the evening and weekend work; the never ending stream of “educational ideas” (talk about taking your work home with you! ); those moments when you thought that nobody cared; or maybe, in a very low moment you even wondered if it was at all worth it, well….. The missing commentary in the “missing and found” Cleveland scenario involving Mr. Charles Ramsey reveals the need for a serious conversation about the role of race in America. And despite possible challenges to his “hero-hood” that are the result of what has emerged in Mr. Ramsey’s own past behavior towards women; his comments do open up an opportunity to reflect on the state of race relations in America. He is as has been said; the proverbial “stopped clock that is correct twice a day.” And so I reflect on his comments not because I think he has earned the right to serve as a knowledgeable, well informed commentator and spokesperson on the question of U.S. race relations. Rather, it is his honest and focused assessment of the obvious that is so powerful. Don’t get me wrong I love the poetic politically positive elucidation of Prof. Michael Eric Dyson; the consistent commitment of a Marian Wright Edelman on behalf of the children of the politically disconnected and disinherited; the probing, challenging questioning of MSNBC’s Rev. Al Sharpton and Melissa Harris-Perry. ; The literary editorial eloquence of Ta-Nehisi Coates and Charles M. Blow. They are scholars all when commenting on this difficult and persistent state of racial inequality. We have had the opportunity to analyze such events as a distinguish Black Harvard Professor’s arrest while trying to get into his own home; and a Oscar winning actor frisked while shopping while Black (or is that shopping as Black); this demeaning act taking place in the sanctuary and safety of U.S. liberal thought—Manhattan. But nothing at least in my recent memory generates the level of serious silence about race in America as Mr. Charles Ramsey’s unrehearsed and unedited riff as to what clued him to the fact that something was “seriously” wrong with the young lady he assisted in escaping from that horrific Cleveland situation. Putting aside the wonderful rescue of these women, and the important story-line message of not just looking away from a problem; whether it is on your block, in your neighborhood, or a neighborhood in Bangladesh. His very honest exclamation of the tipoff that things were very bad was the willingness of a White Girl to run away from danger and into the arms of a Black Man speaks volumes about where we are as a nation. It is not that the comment is so extraordinary and rare. In fact had he not said it I suspect that in some Black barber shops and beauty parlors across this nation, the very same words would (and will) have been expressed. What made his comments so different and powerful was the fact that they were expressed in an “open” forum. It was if he shared an inside joke/truth with the White members of our U.S. family. We have for many years lived in, to borrow words from the great American playwright August Wilson; living in a place where “two trains are running”; perhaps moving in the same direction but definitely traveling on different tracks. And to continue the metaphor; honest talk about race across the racial divided has become the proverbial ‘third rail’ that promotes, and protects a fake and inauthentic relationship. We try hard to have ‘honest conversations’ about topics like “stop and frisk laws”, or the “role of professional networking” by engaging in a dishonest practice of pretending that race is a non-factor; when it is very much a central factor in these types of discussions. We deftly dance around an authentic discussion about race by having substitute diversionary and non-serious conversations about the “relationship” between then candidate Barack Obama and the Rev. Wright. After this distraction reached the height of foolishness; candidate Obama gave a speech that called for a national honest dialogue as to how people living in the same country may feel radically different as to how they do or do not, fully enjoy the fruits of this nation because of their race. And yet, not even a person who occupies the most powerful position in the world can talk openly and honestly about the high concentration of unemployment and economic hardship, early death and the destruction of young dreams that exist in the Black Communities of America. There is the missing conversation, and missing public outcry about Black missing children; the freighting mathematical predictors as early as the third grade that graphically displays the prison pipeline system for Black males; the daily casualties of war in our inner cities where young Black people going off to school each day play a deadly game of : “Bye Mom and Dad, hope I survive and come back home today”. And finally in my own field, where we do such a terrible job with Black students who are on and above grade level; giving a new meaning to the phrase: “at risk”. The primacy of the fake and manufactured “achievement gap”; that we know is in reality an opportunity, good school, competent teacher and parental resource gap. This “achievement gap” is designed and maintained because there is simply more money generated by Black student failure; then can be found in their academic success. The cynical surrender of the education of Black children to adventurous amateurish and uninformed “reformers”, this done very often with the encouragement and consent of Black elected officials. Black children in particular have become subjects of unethical educational experimentation; that sadly ends with just simply the closing of their schools (lacking the knowledge as to how to improve them); and then shipping the children off to a hungry crowd of educational profiting privateers. The commercialization and commoditization of Black children and their education in this country greatly harms those children for life; but it also harms our nation’s ability to build a strong and viable generation of citizens who will be able to solve future problems, some of which are outside of our present thinking. Whatever you think of Mr. Ramsey’s style and Phraseology; he is I believe, onto something. That something is speaking the truth about race. It is how our continued failure to have this conversation, to in fact pretend that no racial problem exists; prevents our nation from reaching its true potential. The hurt and harm visited upon such a large segment of our population can’t be kept in isolation, can’t be kept hidden. America should follow Mr. Ramsey’s example; don’t ignore and walk away from the pain of our national neighbors; don’t say: “well my kids are safe so..” The truth is that if all children are not equally cared for, not equally educated, not equally encouraged, not equally nurtured, not equally safe, not equally searched for when missing. Then all children are in danger. The ironic and tragic reality is that a world that is unkind to a selective group of children; places all children at risk of unkind treatment. What will it take for us to realize that for many citizens in our land, the present social-economic conditions are really bad, discouraging and painful; and will we as a nation ever gather the will; and extend our arms to embrace and rescue them? 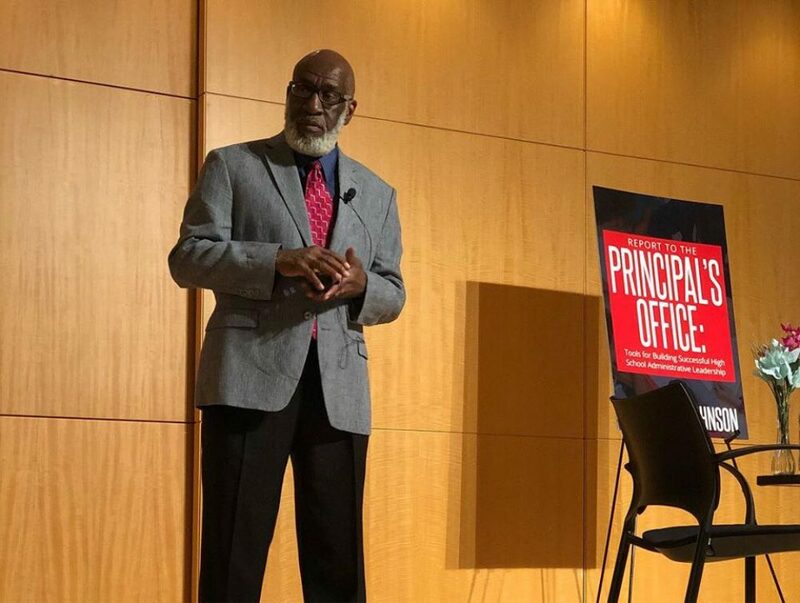 School (administrators in an intellectual) Daze: A slice of “Black College Life”; worse than film or fiction. In order for the “game” to work, the “mistreated” must accept the narrative of “powerlessness”; like a big magic trick their gaze is misdirected away from what is the most important fact: “we could simply say no, and it would end”. The good people in the world feel they are outnumbered (they are not). The big lie is to convince everyone to be afraid (they are); and thus out of that fear, exploit and harm others, who like them are also afraid. Must people die in order for us in the advance industrialized nations to be able to purchase clothes at a reasonable price? I fear that the poor of Bangladesh will just move on to the next factory building ready to collapse upon them; while the world waits for the next group of them to die for our sins, our socks and shirts to be on sale. I think there is a proper forum (Place and Time) for: “Being Angry With Yourself”. Don’t blame other people for what you have allowed them to do to you. Anger can be framed into purposeful resolve. Strive daily to create worthy, not spectacular efforts. “….Glancing this way and that and seeing no one, he (Moses) killed the Egyptian”…. And yet, it would seem that we are always seen. Don’t engage in efforts that are unworthy of your best character. Reciprocity and Balance; central in Yoga and central in social relationships. “I said to Paulette: “Do over!” She laughs….. Well, I wondered: “how many times can I do that, and the doing is still worthwhile?” At/In the end we can’t really do anything, no matter how worthy, over. memory as destiny, or as teacher? In the solemnity and suddenness of exile; when all seems lost, all sense is found; there is evolution, elevation, exultation and election. At first we think it cruel that Moses is sent into “dessert exile”. He becomes the leader, not of people but of scorpions, snakes and sand. He manages a flock of sheep and not a nation. His first born son is fittingly named: Gershom: “I have become an alien in a foreign land”. What seems like cruelty is in reality a blessing; for there is no Mt. Horeb (the place of the burning bush) to be found in Egypt; he must be in a place where God can get his full attention, can respond to his doubt, and deliver the full meaning of his divine calling. The dessert, though seeming anti-life, is pregnant with a hope-full life; great meaning and purpose is grown in the dessert. The power of its quiet stillness, waters the humility of the heart, and focuses the mind. In (The Criterion: Sura 25:53) “It is He Who has let free the two bodies of flowing water: one palatable and sweet, and the other salt and bitter; yet He has made a barrier between them, a partition that is forbidden to be passed” and; (The Cave Sura: 18:60) “Behold, Moses said to his attendant, I will not give up until I reach the junction of the two seas or (until) I spend years and years in travel”……. That’s the place for which I have always searched. Oh, if I only had balance, I could stand up and walk!